People in Mexico celebrate Our Lady of Guadalupe on December 12. 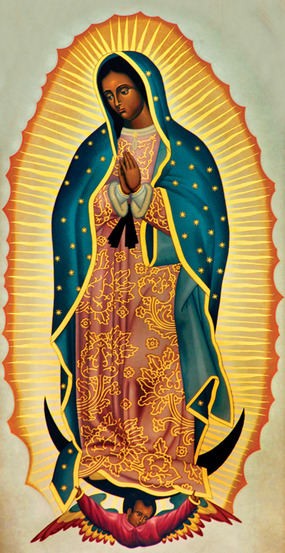 Mary is the Patron Saint of Mexico and Patroness of the Americas. Every year, thousands of people from all over the country make a pilgrimage to the Basilica in Mexico City. The custom of celebrating the nine days before Christmas, which recall Mary and Joseph’s journey to Bethlehem as they sought lodging yet were turned down by everyone, can be traced to the early evangelization of Mexico. This custom is still practiced there as well as in the United States. This is an appropriate time to remind the children that the Season of Advent is a time of waiting and preparation for the coming of Jesus Christ. 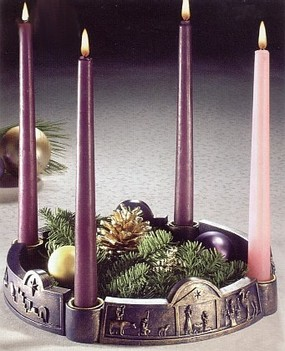 Below are some activities that you can use to celebrate Advent with the children.